There is a way that the morning light reflects on the rich wood paneling and the sound of the waves restores the soul. 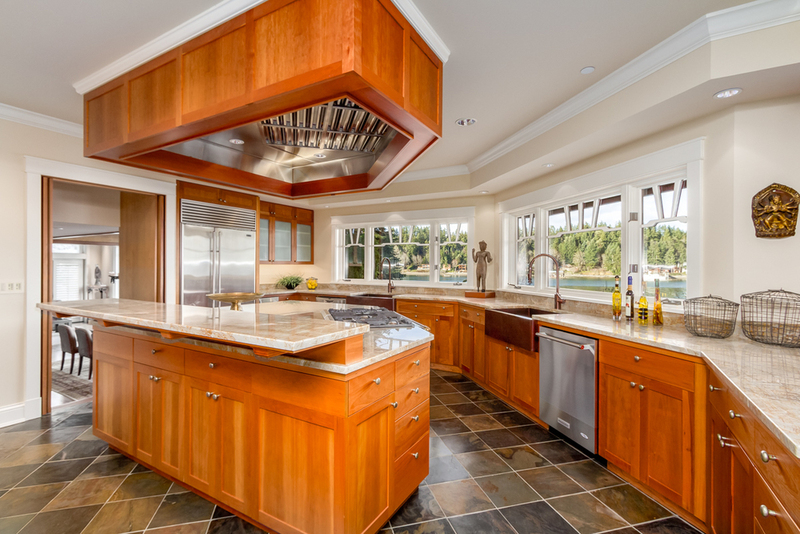 The exquisite Mission style, with a hint of Craftsman workmanship, is augmented with an Asian sensibility. The main home shines with a circular floor plan providing rooms for both gathering and privacy. 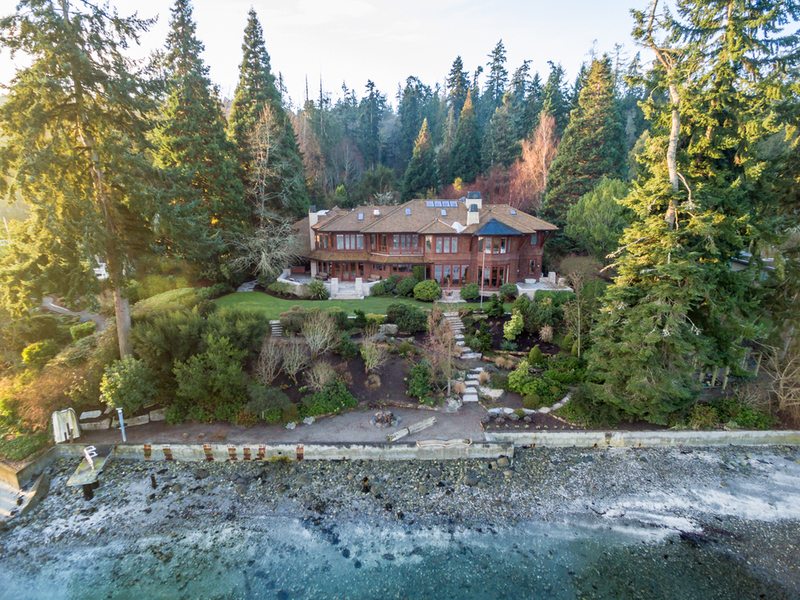 Sited on nearly 4 acres of lush gardens and ponds, with views to the Seattle skyline bordered by 347 feet of low bank waterfront along Blakely Harbor, this is a rare find.